McGraw-Hill: meet Chicago-style negotiations. And there, in one sentence, is all that is broken with this country. The reason for the beyond ridiculous horse trade, according to CNN: S&P analysis of U.S. revenue, deficit picture was questioned. 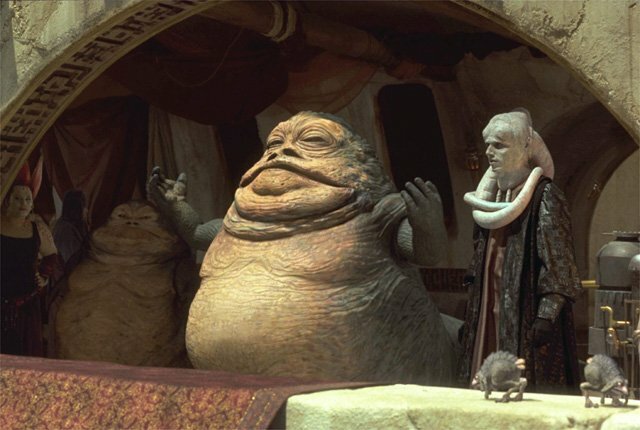 Presumably S&P ignored to add the $10 quintillion dollars that were saved by America not declaring war on Tatooine and its most infamous Hutt resident: Larry Summers. Indeed, again according to CNN, S&P acknowledged some errors in its analysis. Isn't it amazing what being threatened with having your NRSRO license can do for motivation to double check your work, eh you pathetic sellouts? Who would have thought that last week's farce debt ceiling would continue and develop into a national pastime. Below, for the sake of S&P's non-existent conscience and incompetence, are their own guidelines for what constitutes an AAA-rated credit. Readers can decide if the US is one. In other news, in USSAAA, government downgrade rating agency. The Standard & Poor's rating agency served the Obama administration with notice Friday afternoon that it planned to downgrade the U.S. government's AAA credit rating, an administration official told CNN. But S&P has yet to make its ruling public, and the source told CNN the agency is reconsidering after the administration challenged S&P's analysis of the government's finances. The source, a senior official involved in the discussions, said the agency was off by "trillions" in its economic model and was now working to revise its analysis. S&P did not return repeated calls for comment. The official described the talks as a "moving target" and said "it's clear some people there still want to go forward" and downgrade U.S. debt. Rating agencies - S&P, Moody's and Fitch - analyze risk and give debt a "grade" that reflects the borrower's ability to pay the underlying loans.